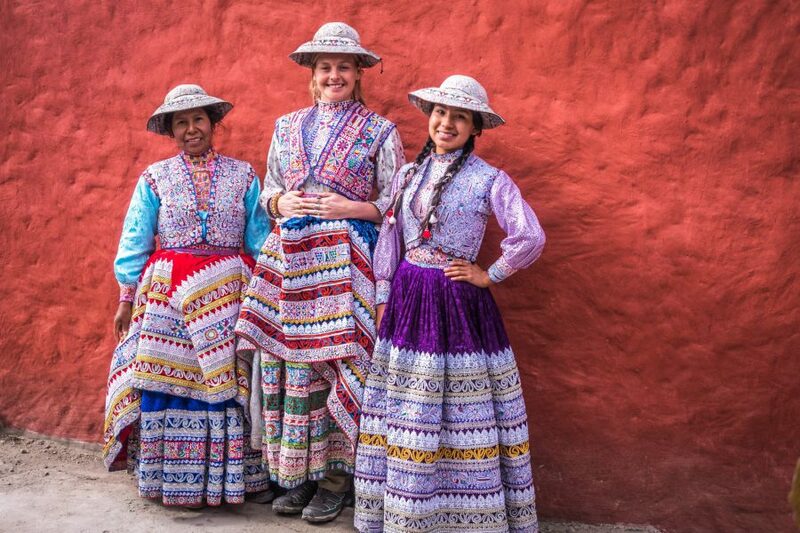 Your Colca Canyon Immersion Experience will place you directly amidst the rich traditional culture of this very special region. 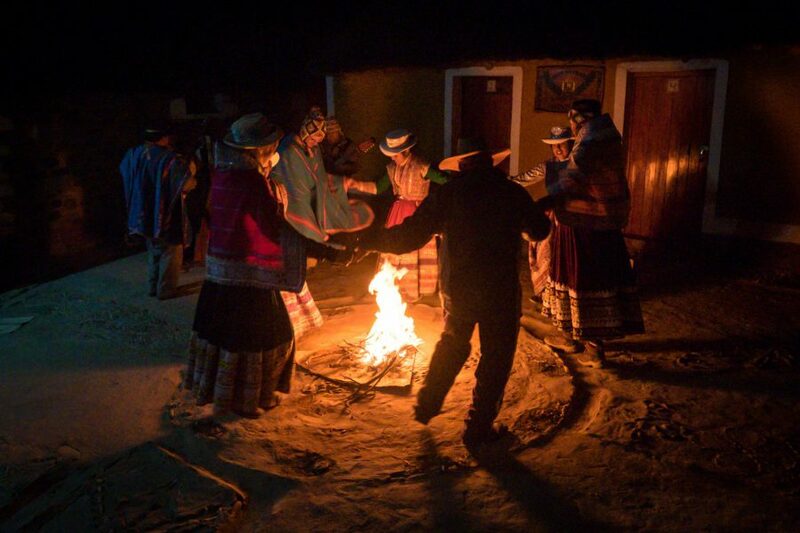 Enjoy a truly unique few days living with local indigenous Collagua families, whose culture predates that of the Incas. 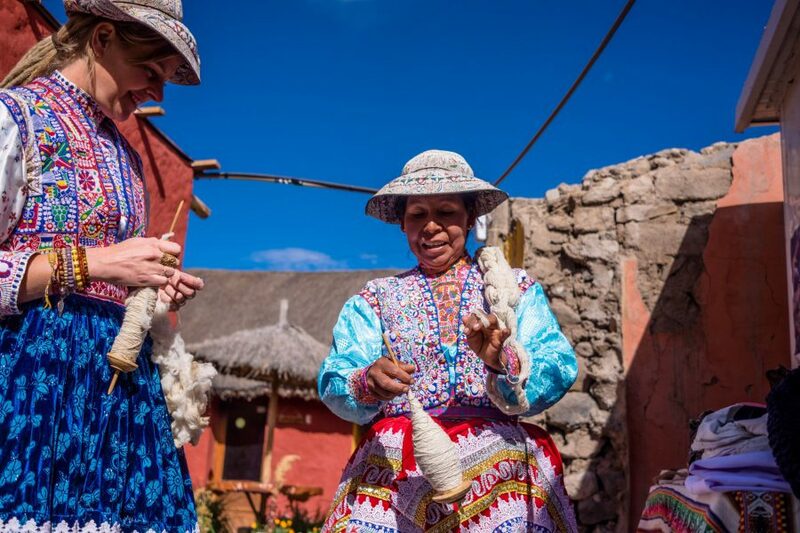 Learn traditional crafts such as candle-making, wool spinning and llama shearing, and gain an in-depth understanding of the daily life of the villagers in the Colca Valley’s rural communities. 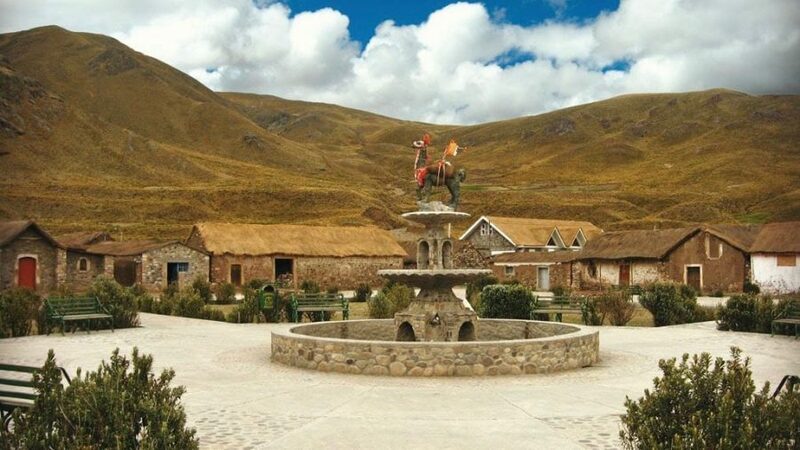 You will also have the opportunity to enjoy the remarkable natural scenery of the Colca Valley, look for llamas and vicuñas in the Pampa Cañahua National Park, take in fabulous volcanic vistas from Patapampa Pass and watch the majestic Andean condors soaring over spectacular Colca Canyon. 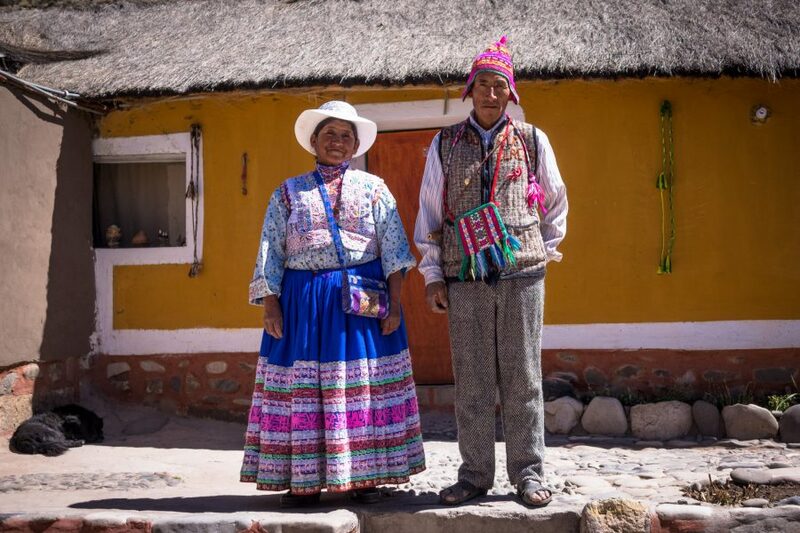 This Colca Canyon Immersion Experience will give you an in-depth understanding of Peru's cultural mosaic through homestays in indigenous villages. 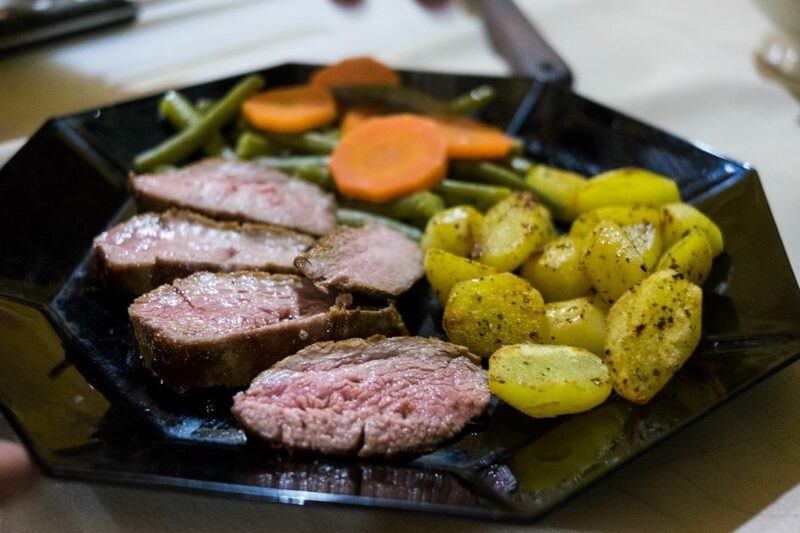 Feast on tasty local cuisine and relax in private natural hot springs. 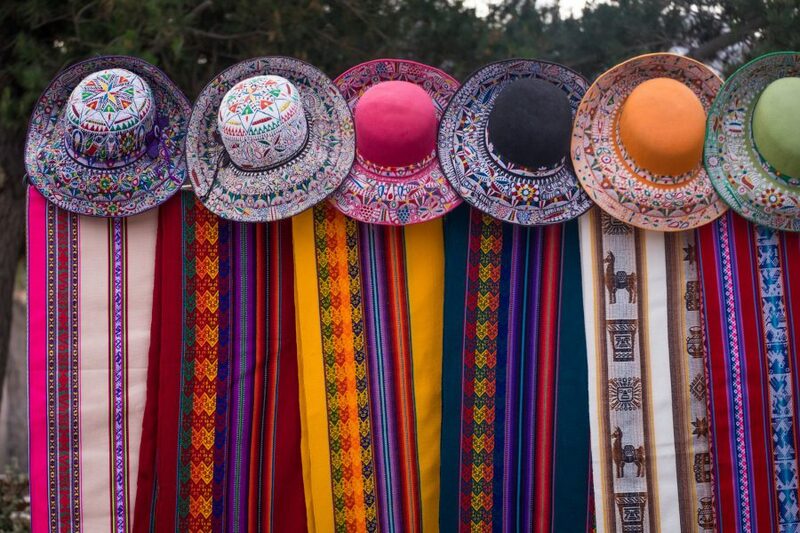 Dress up in traditional Collagua clothing and take a playful walk with a herd of llamas. 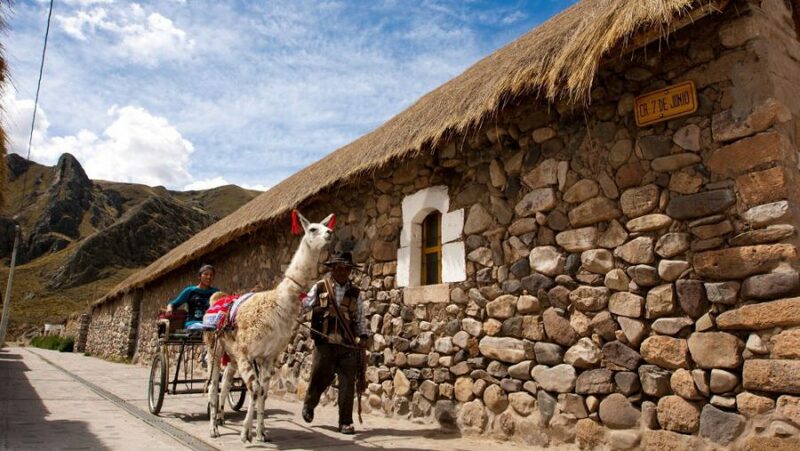 Learn traditional skills such as candle-making and llama-shearing. Be blown away by breathtaking volcanic vistas at the lofty Patapampa Pass. 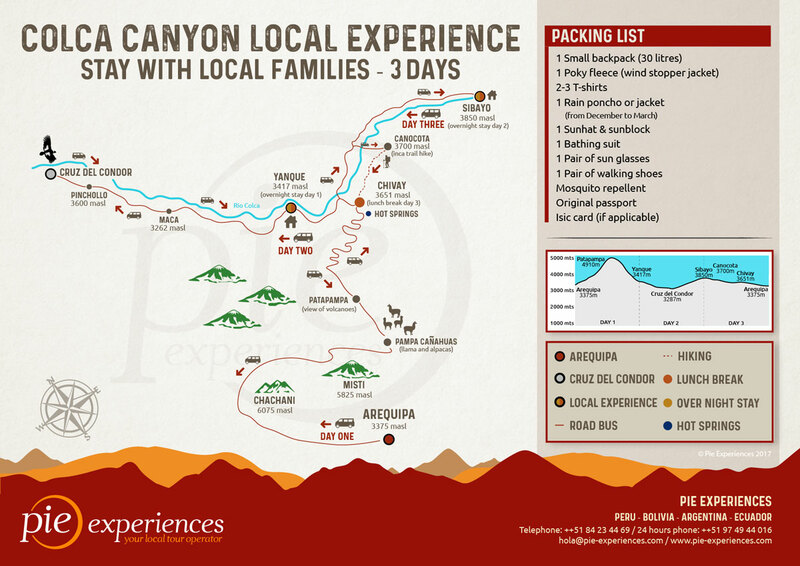 Click through to “Tour Plan” to see the full itinerary for the Colca Canyon Immersion Experience. 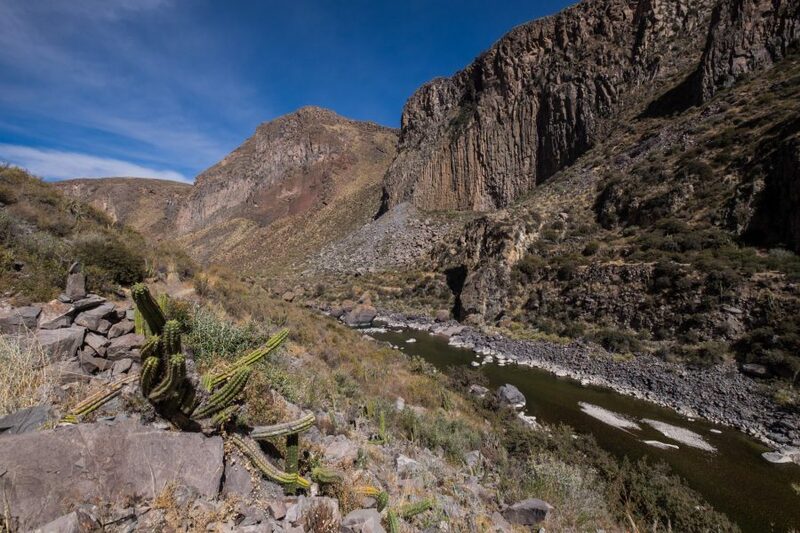 Begin your Colca Canyon Immersion Experience by exploring the spectacular natural beauty of the Colca Valley. 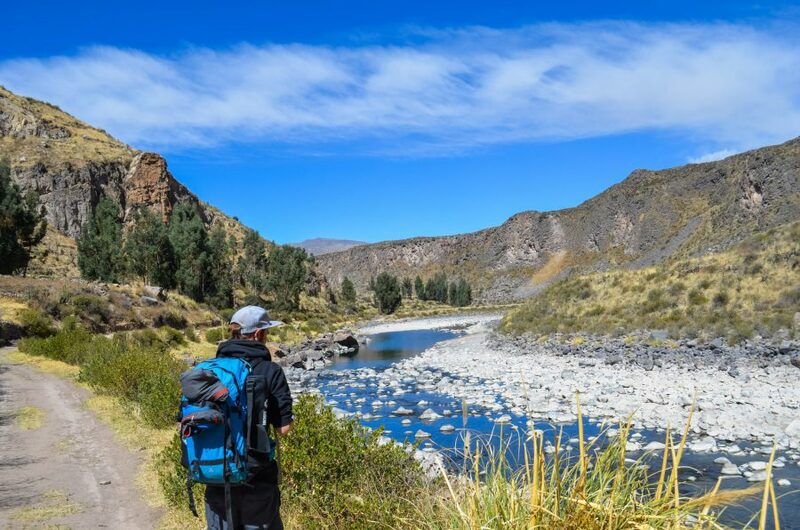 At Pampa Cañahua National Park, you can see a huge array of Andean wildlife and birdlife while also enjoying the spectacular volcanic vistas. Furthermore, you will climb to almost 5000m above sea level to enjoy the spiritual atmosphere and breathtaking views of Patapampa Pass. 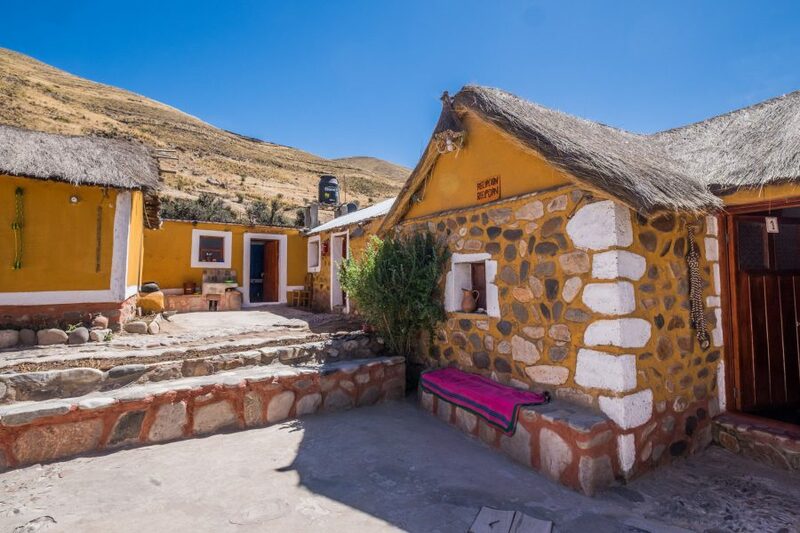 In the afternoon, discover the rich traditional culture of the Colca Valley with a homestay at a local village. 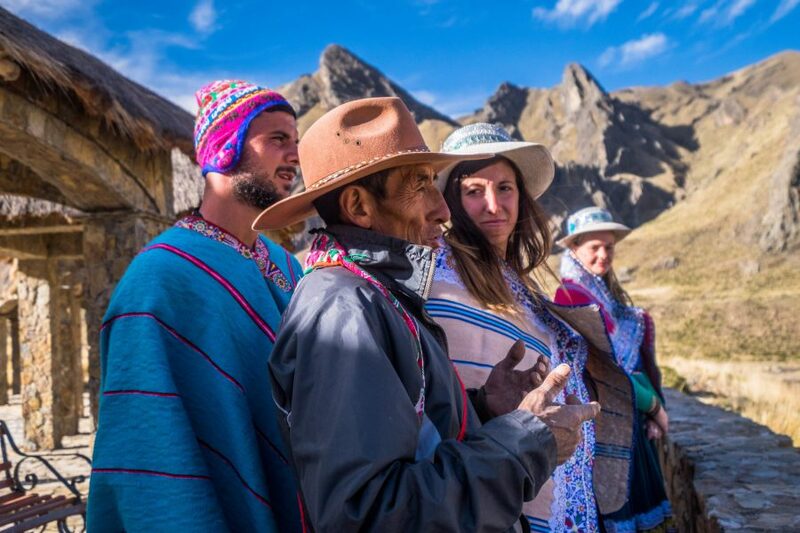 Hence you will learn traditional crafts and enjoy a delicious home-cooked meal with the Collagua people, whose culture actually predates that of the Incas. Trekking time: 2:00 hours approx. Kilometers covered: 5 km. (3.1 mi.) approx. Low point: 3200 m/10498.69 ft approx. - High point:4900 m/16076.12 ft approx. Your local experience continues with a performance of the traditional Wititi dance. 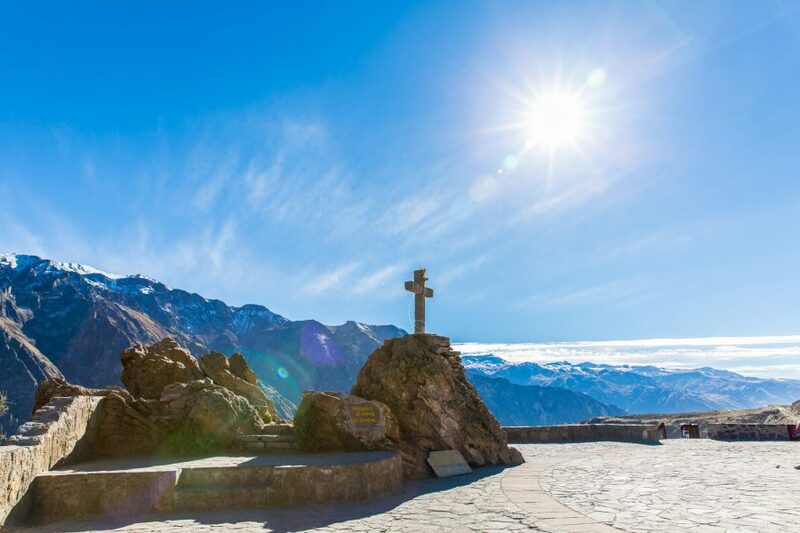 You will then head to the lookout point at Cruz del Condor for a chance to see the elusive Andean condor soaring over the Colca Canyon. Continue to the village of Sibayo, famous for its ancient stone masonry. 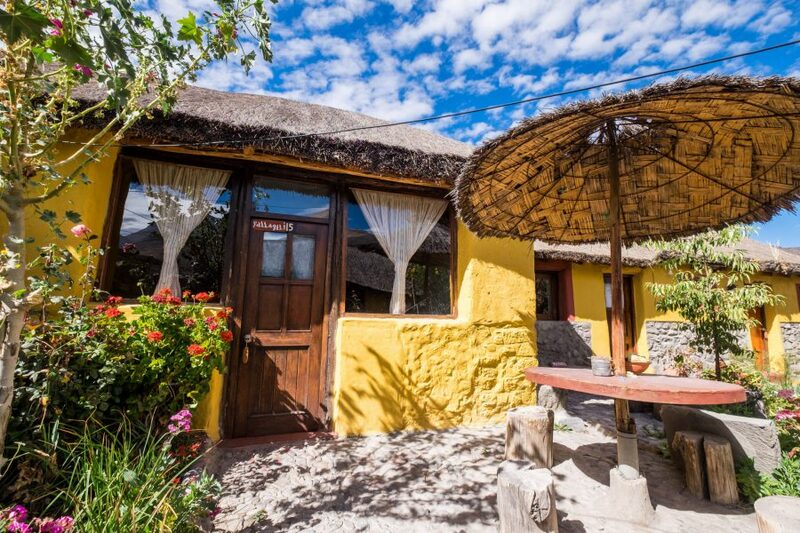 Here you will enjoy a true Colca Canyon immersion experience by staying with a local family. 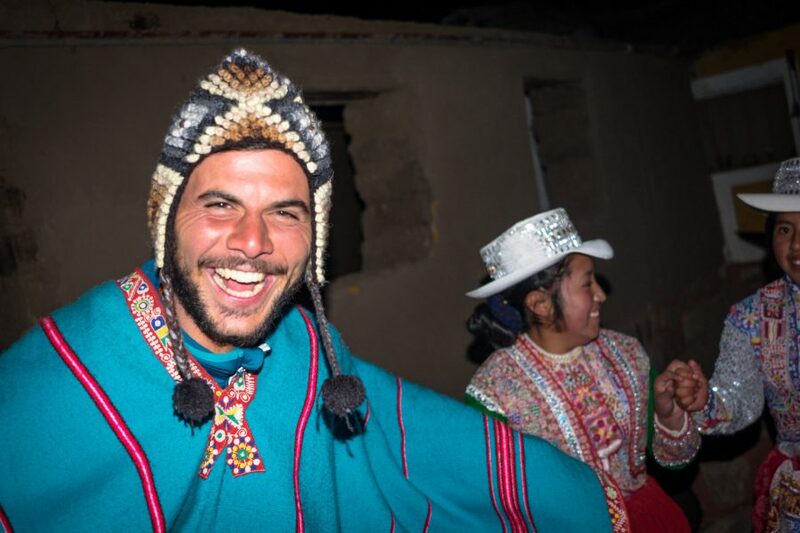 In addition, you will have a fun time dressing up in traditional clothing before heading out on a pleasant trek with friendly local llamas and their herders. Trekking time: 3:00 hours approx. Kilometers covered: 7 km. (4.3 mi.) approx. Low point: 3600 m/11811.02 ft approx. - High point:3800 m/12467 ft approx. 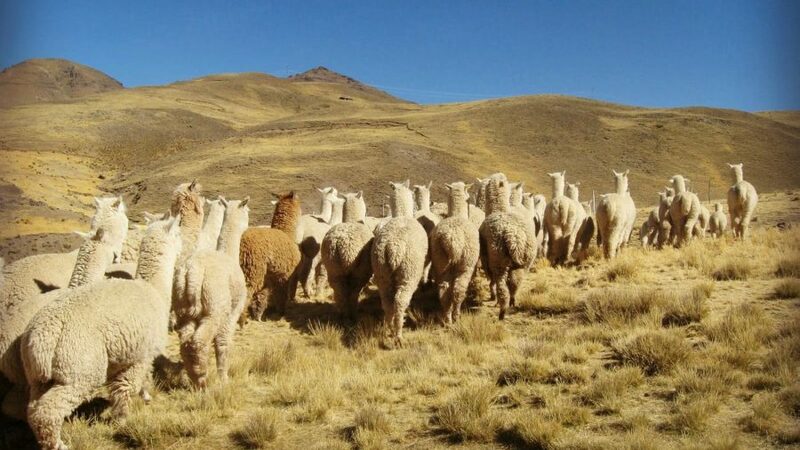 This morning, your local cultural experience continues with a visit to a community of alpaca herders just outside Sibayo. 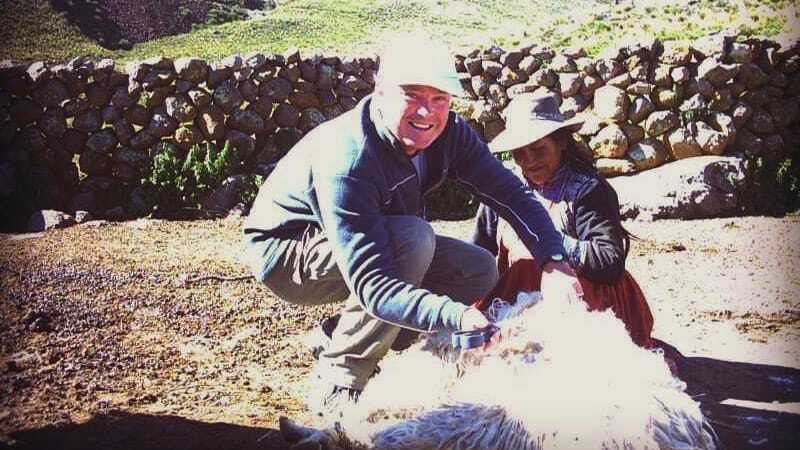 Spend time with Peru’s national animals and their herders and here you will also learn about the traditional art of alpaca shearing. 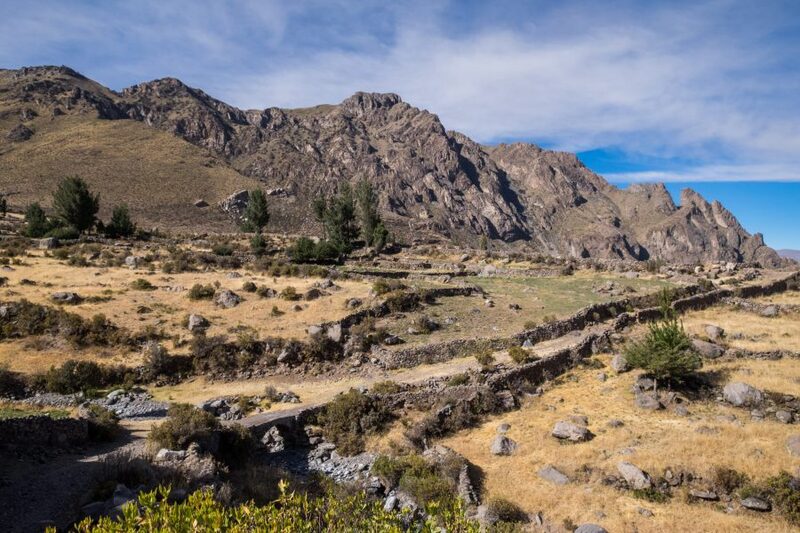 In the afternoon, you’ll enjoy a scenic hike along an original Inca Trail. 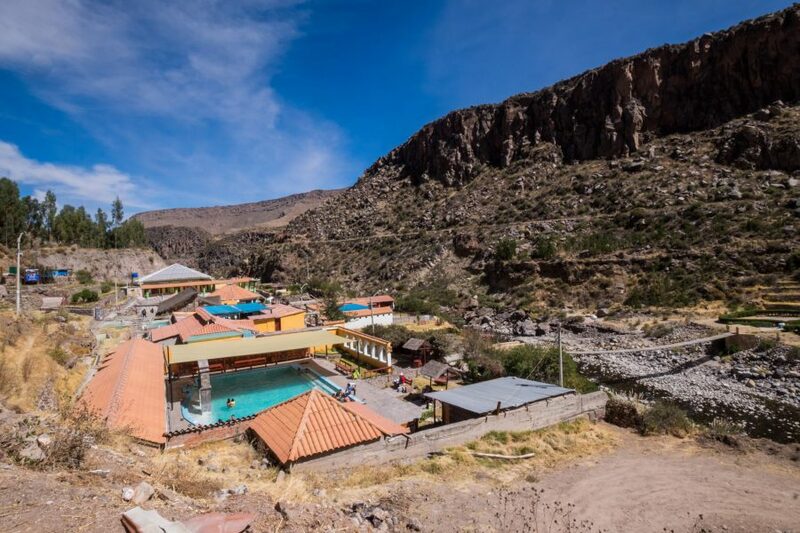 In addition, take a relaxing soak in the hot springs of Chivay before making your return to Arequipa. Low point: 3500 m/11482.94 ft approx. - High point:3600 m/11811.02 ft approx. Click here to read a firsthand experience about of this unique and memorable tour. 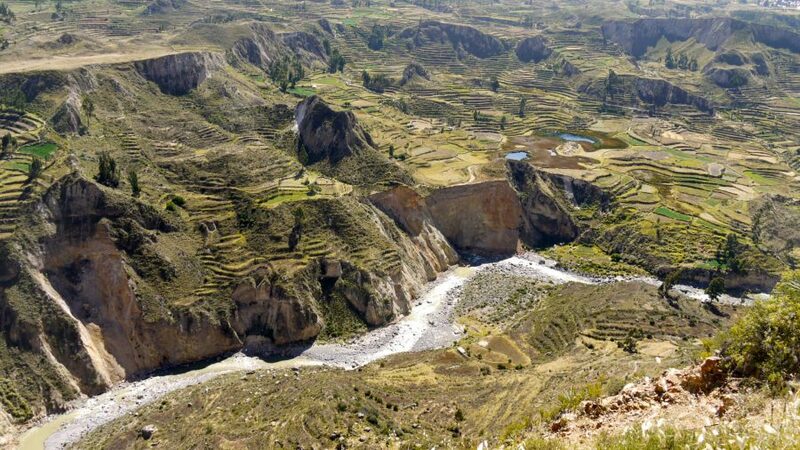 Venture into Peru's breathtaking Colca Canyon, the second deepest canyon in the world! 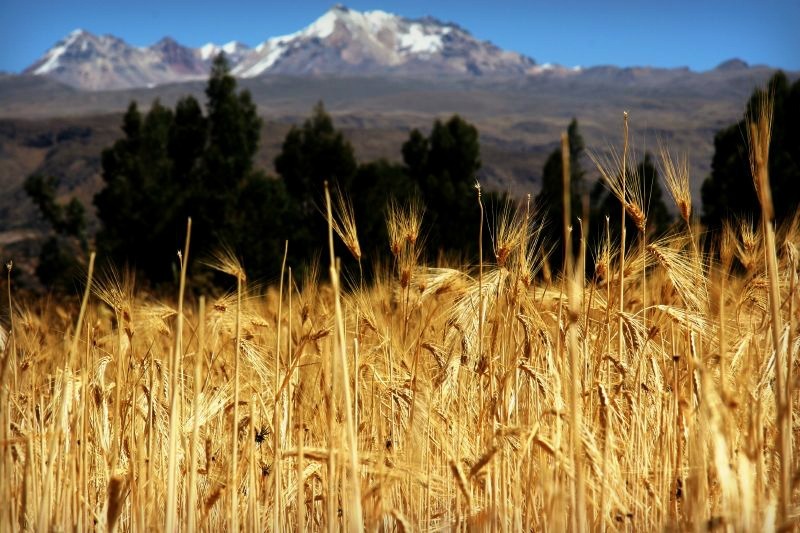 Your adventure begins at the Pampa Cañahua National Reserve, where the imposing Chachani and Misti volcanoes lend a dramatic backdrop to this beautiful park. 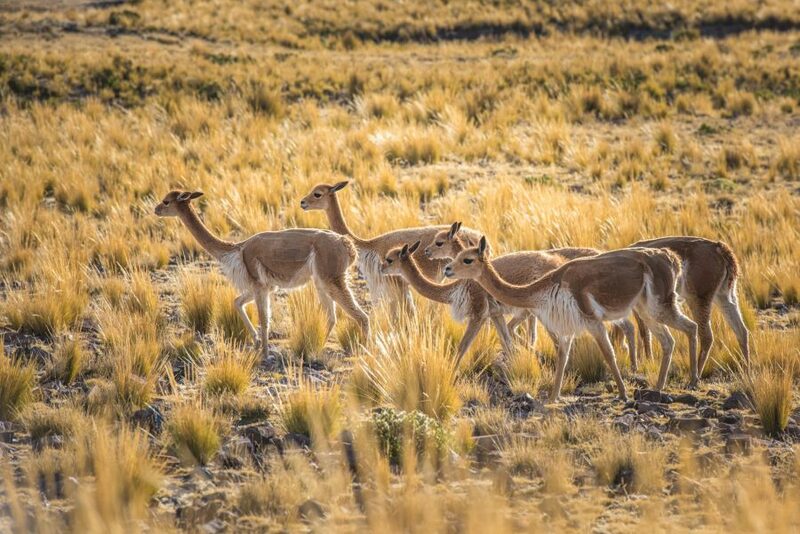 The diverse wildlife here is just as impressive as the volcanic vistas, so keep your eyes peeled for herds of vicuñas, llamas and alpacas, and even the elusive Andean eagles! 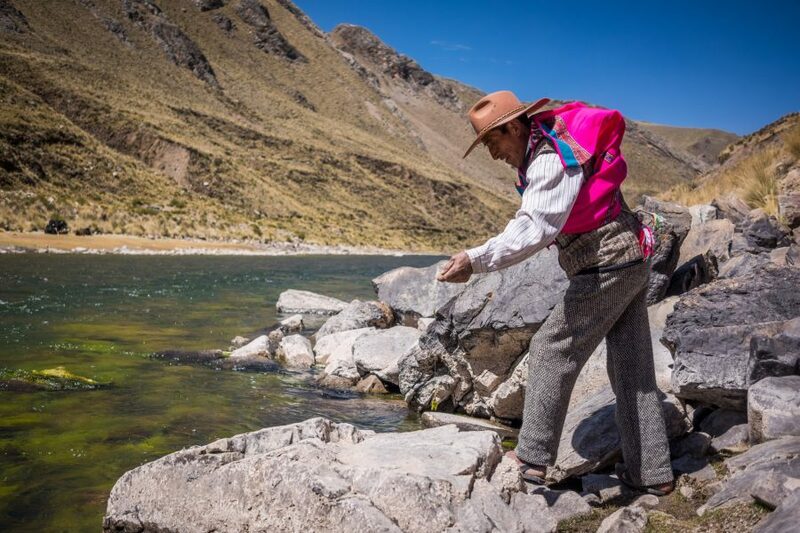 Your next stop will be the spectacular Patapampa Pass, which at nearly 5000m is the highest point of the tour. 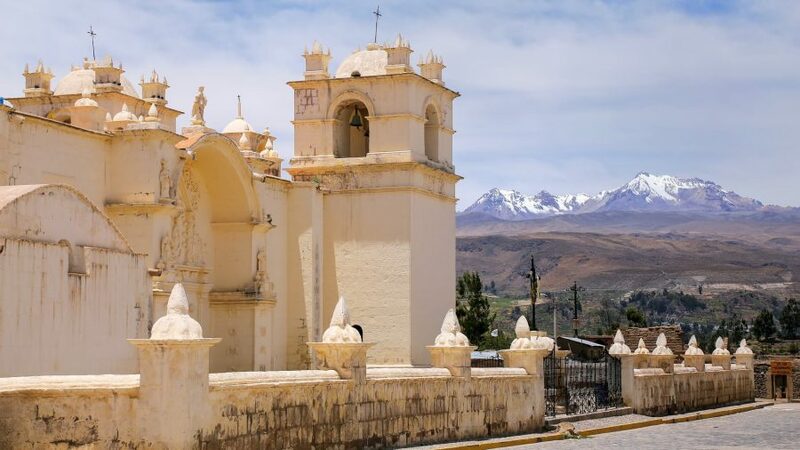 Soak up the magical atmosphere – you will notice interesting stone towers, or offerings to Pachamama (Mother Earth) left by previous visitors – and take in the incredible views of snow-capped peaks: Ampato, Sabancaya and Hualca-Hualca. You might recognise the name Ampato, as this is where they uncovered the famous 'ice maiden' mummy Juanita, who is now on display at the Andean Museum in Arequipa. 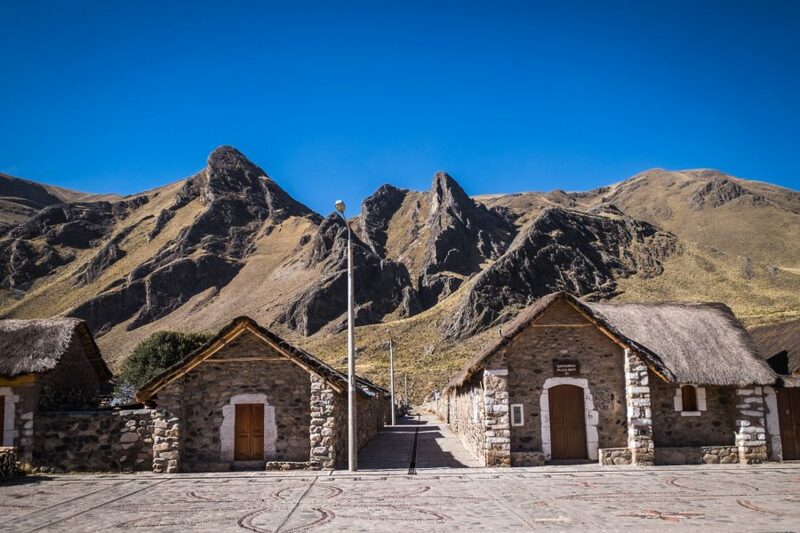 In the afternoon, you will descend into the Colca Valley, specifically the tranquil town of Yanque. 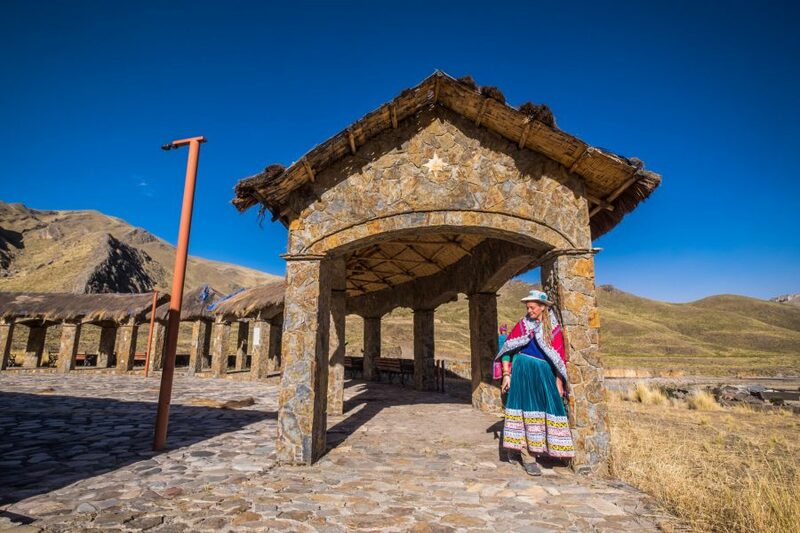 Here, you can enjoy a true Colca Canyon immersion experience by meeting the indigenous Collaguan people, whose culture predates that of the Incas. 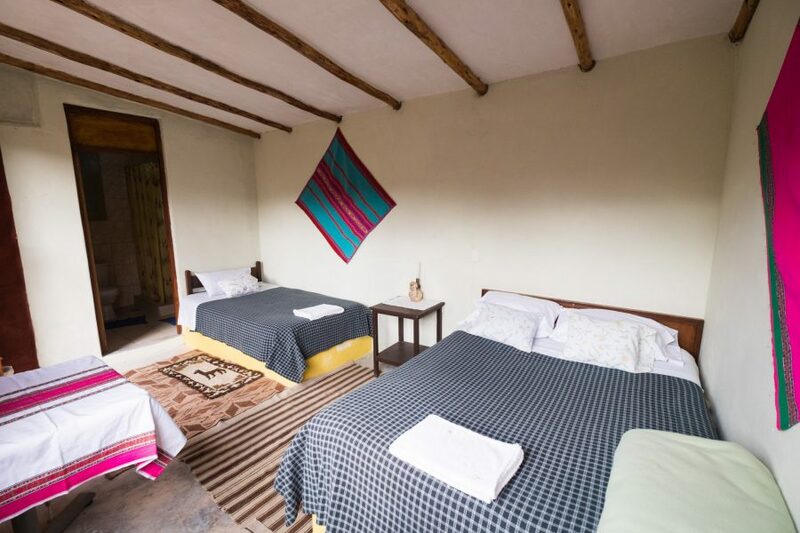 You will spend the night in a homestay with a Collagua family, who will teach you about their traditional way of life. 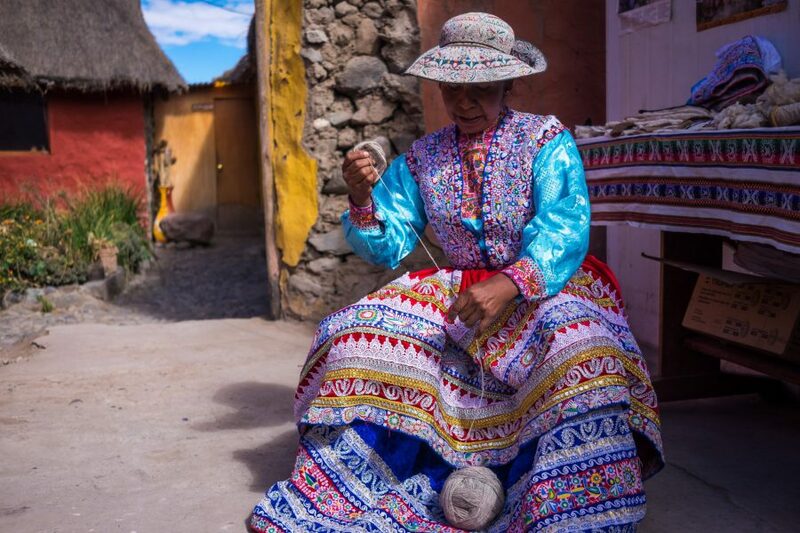 Discover commonly used skills such as candle-making, wool spinning and agriculture, or take a stroll to the nearby pre-Inca ruins. Round off the day with a relaxing visit to private natural hot springs, followed by an organic homegrown, home-cooked family meal. Low point: 3'200 m./10498 ft. - High point: 4900 m./15748 ft. approx. 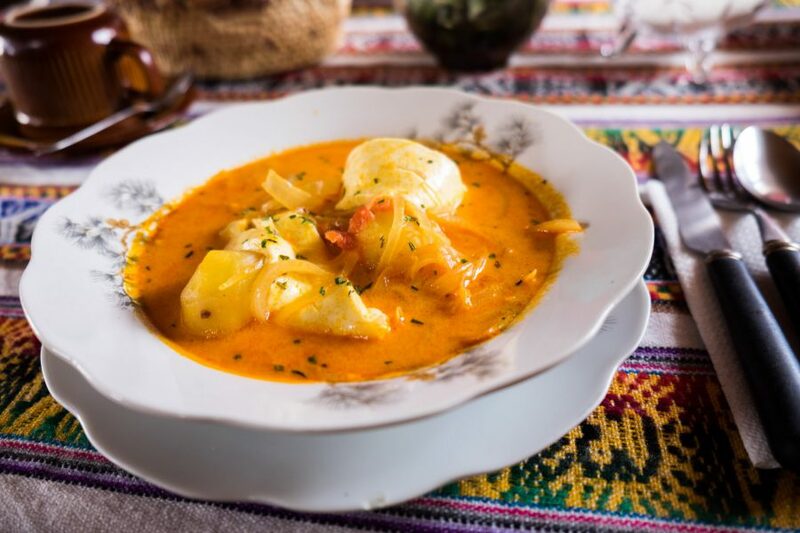 Enjoy a tasty breakfast of organic Andean fare with your new family before heading into Yanque’s main plaza to watch a fascinating performance of the traditional indigenous Wititi dance. 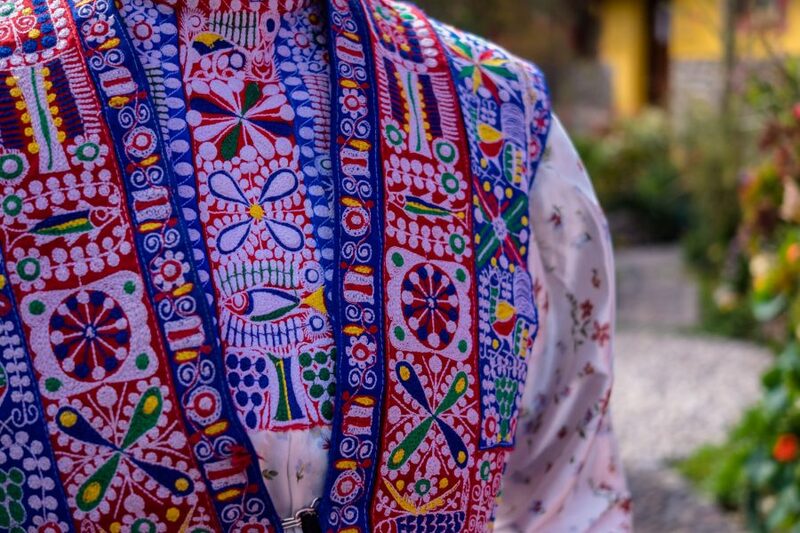 Admire the colourful local costumes of this spectacular show before perusing the vibrant market wares. 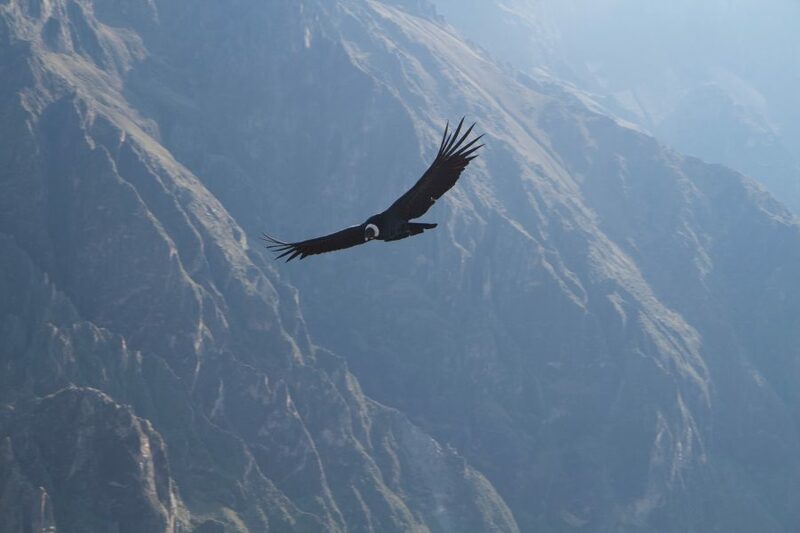 The next stop for the morning will be 'Cruz del Condor', a natural lookout point over Colca Canyon named for the colony of Andean condors that live nearby. You can’t fail to be awestruck as you watch these magnificent birds go soaring past among the beautiful canyon scenery. This is one of the only places in the world to see condors in their natural habitat, so keep your camera ready! 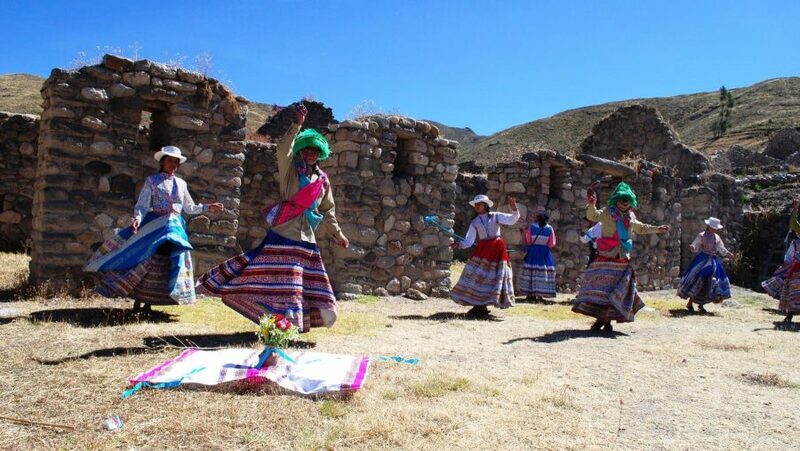 Continue to Sibayo, a picturesque village famous for its ancient masonry (the name means 'town of stones' in Quechua). 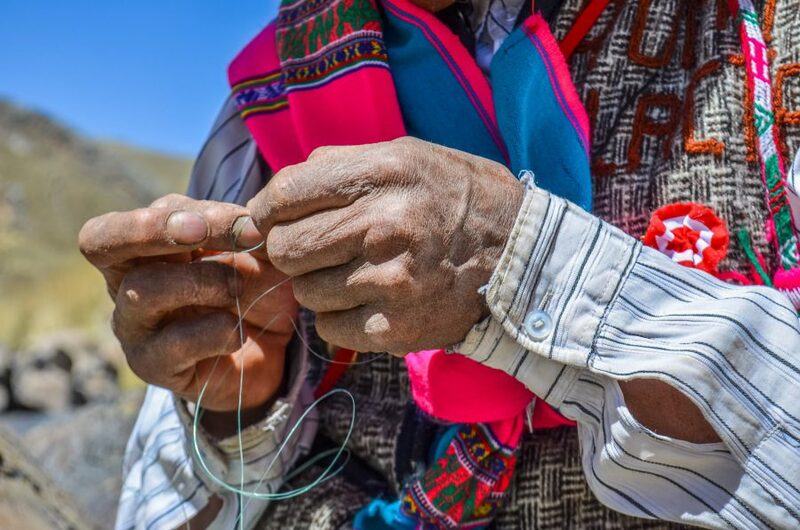 Continue your Colca Canyon immersion experience by spending the afternoon with local families, who will teach you the traditional processes of spinning and weaving llama and alpaca wool. 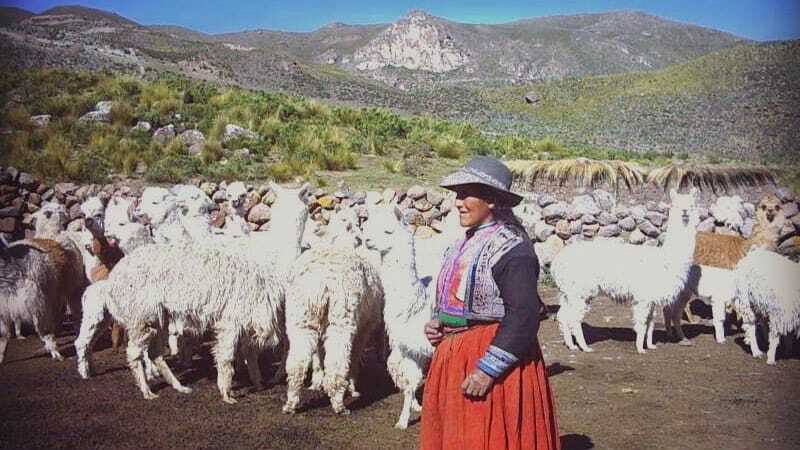 You'll even have the opportunity to go trekking with local llama herders and their animals along ancient mountain paths, far away from the tourist crowds. 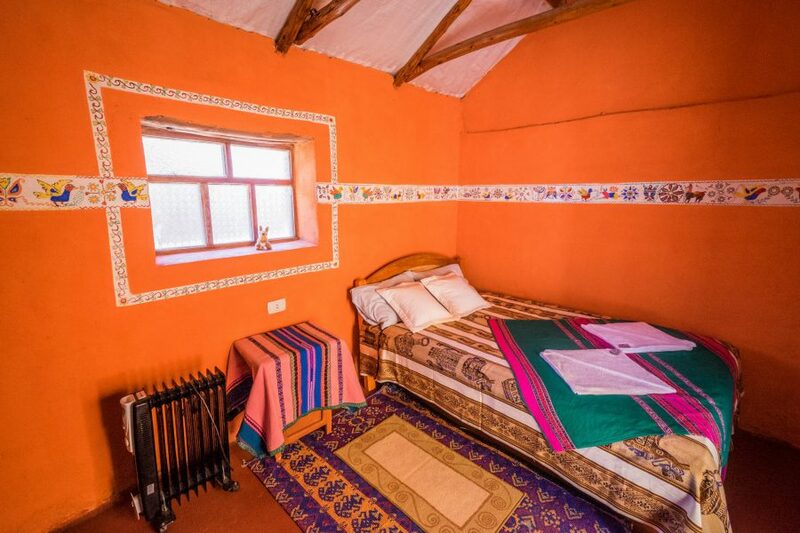 Spend the night in a homestay in this unique town, as you enjoy participating in some fun Collagua-style dancing to the live music performed by a local band. Hiking time: 3 hours approx. Low point: 3'600 m./11811 ft. - High point: 3800/12467 ft. approx. 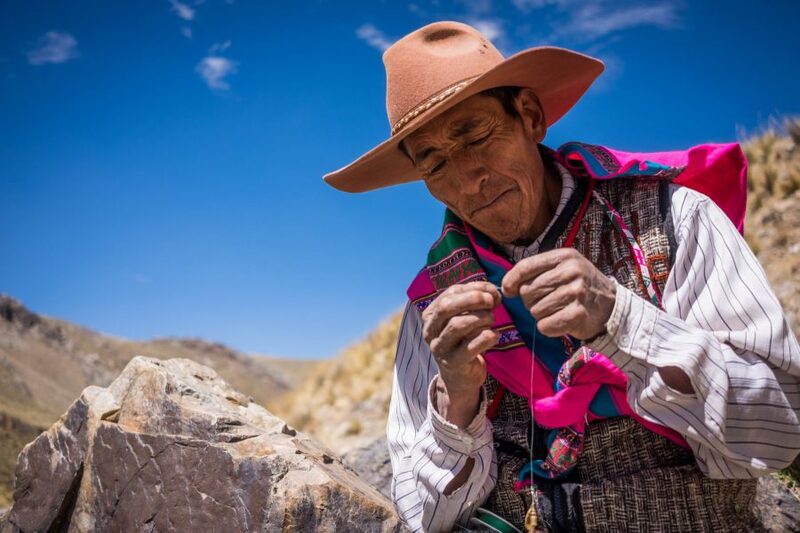 Your Colca Canyon immersion experience continues with a visit to a community of alpaca herders, whose grazing grounds are located a short drive from Sibayo. 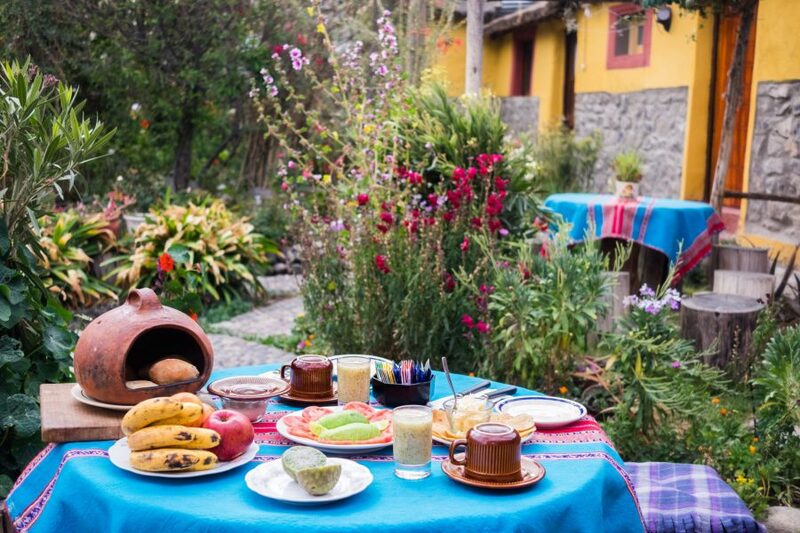 Take time to chat to the llama herders and learn the ancient art of shearing llamas and alpacas before enjoying a well-deserved Andean breakfast. 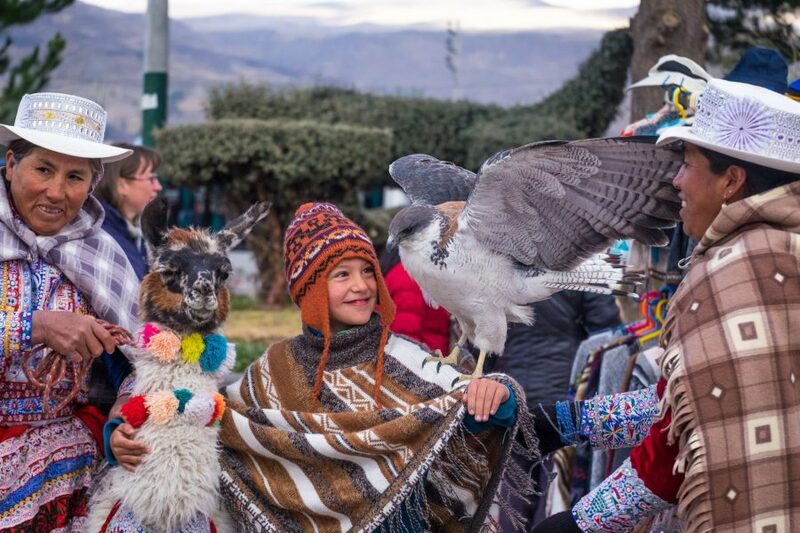 Next, you will be able to contemplate all these memorable experiences amid the stunning backdrop of the Colca Valley, as you traverse an original Inca trail to Chivay. 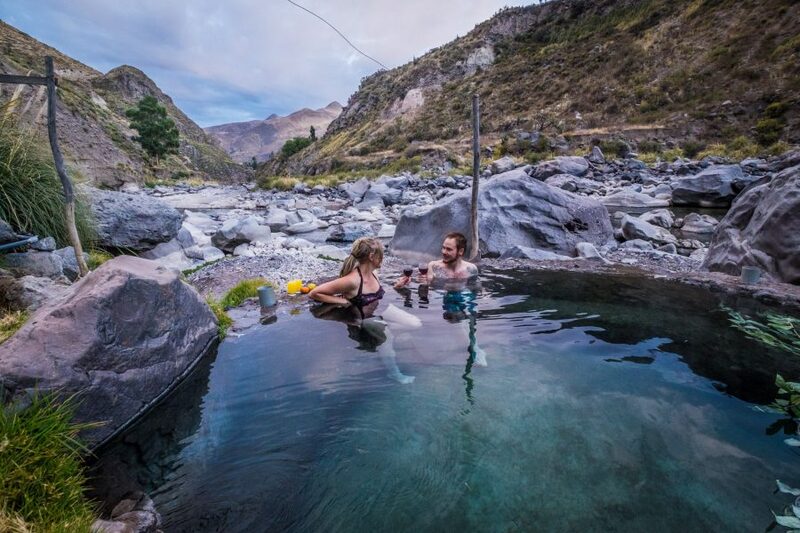 Here, you can rest your tired muscles after your hike with a rejuvenating soak in the natural hot springs and enjoy a lunch of delicious Peruvian fare. 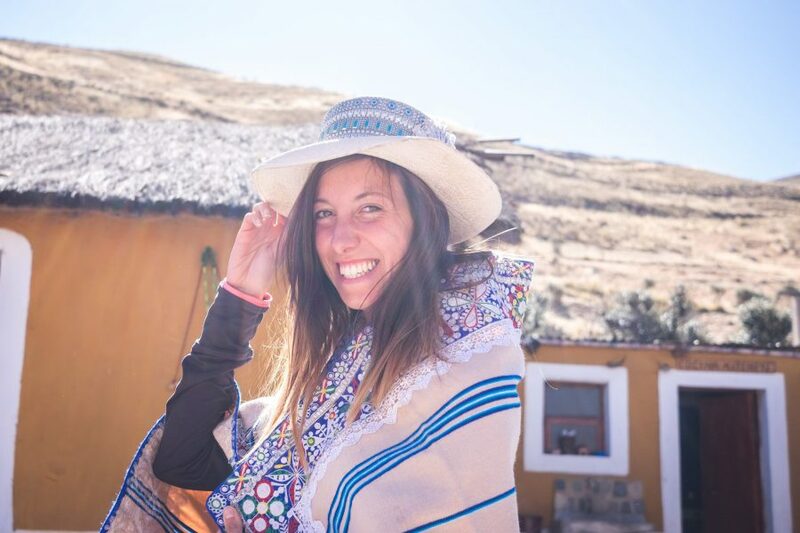 In the late afternoon, you will return to Arequipa, taking with you your new-found traditional skills, local knowledge and wonderful memories of your Colca Canyon Immersion Experience. Low point: 3'600 m./11811 ft. - High point: 3500/12467 ft. approx.